Of all the photos in stacks only the top photo will be found. All the other photos are ignored in the search. 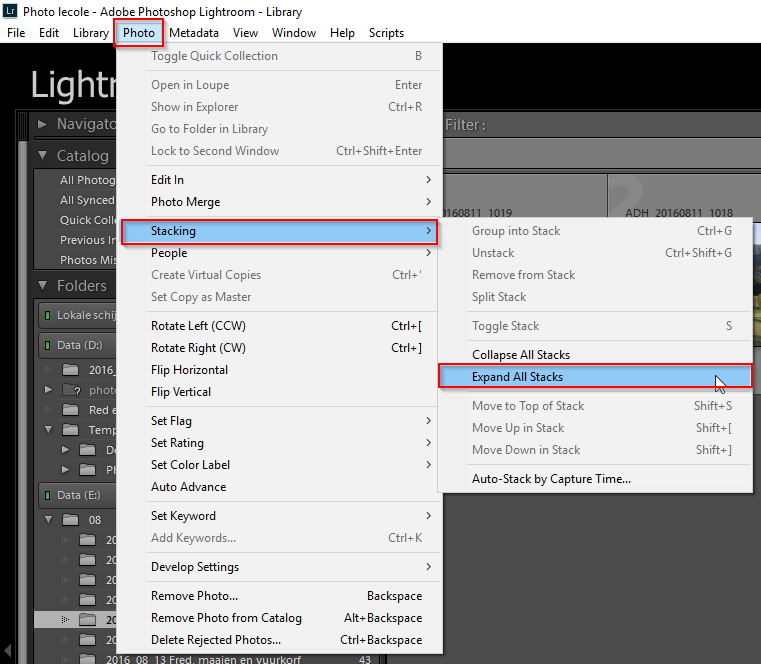 This is a known error in the Lightroom API (Application programming Interface). It has been reported and no solution has been provided yet.